Looking at this suburban lake as I walk around its periphery, I find myself thinking about the interventions that man has made in the interests of maintaining a dialogue between human and natural environment. 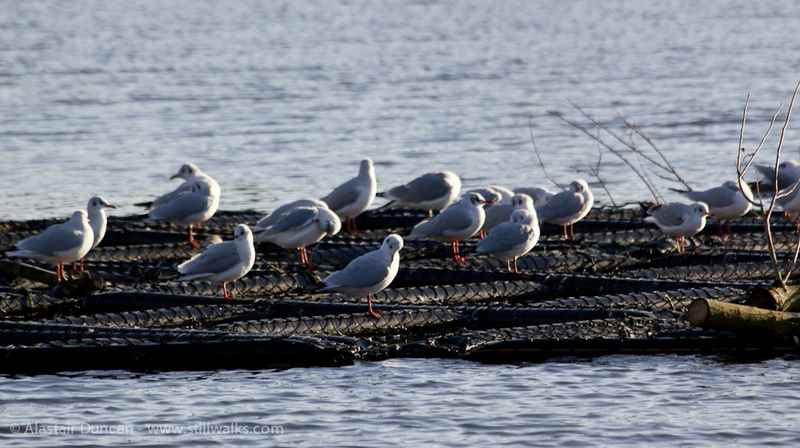 The fishing platforms that jut out into the water at the lakeside have a straightforward function, but the mid lake platform on which the gulls are resting is more abstract. I don’t know what it has been constructed from but with little or no vegetation forming a part of it, there is no disguising the man made materials. It seems to be a welcome haven for the birds at any rate. My third photo today shows the patterns of construction materials of an outlet in the lake that I guess must be required as the streams feeding the lake doesn’t appear to have any other natural continuation point. 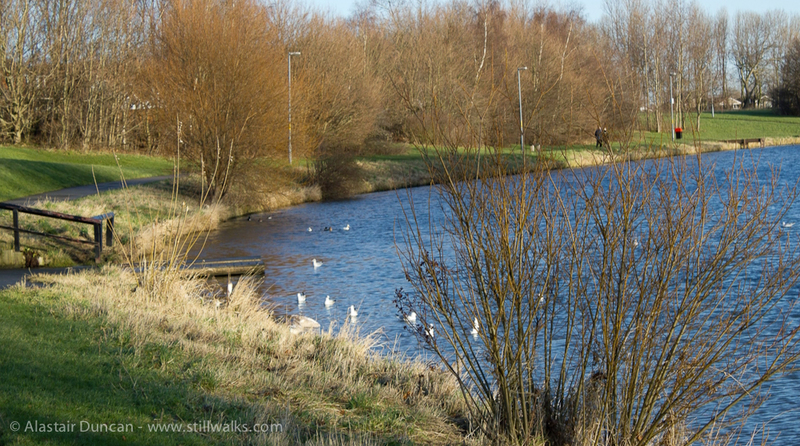 Posted in Architecture, Landscape, Photography, Walks and tagged birds, construction, gulls, Hemlington, islands, Lakeside, man-made, Middlesbrough, pattern, walking, walks, water. 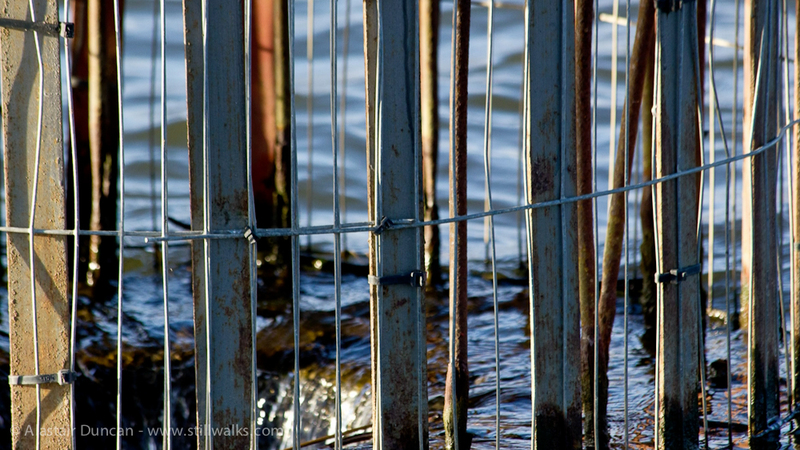 I love your last photo of the patterns from the fence around the water.